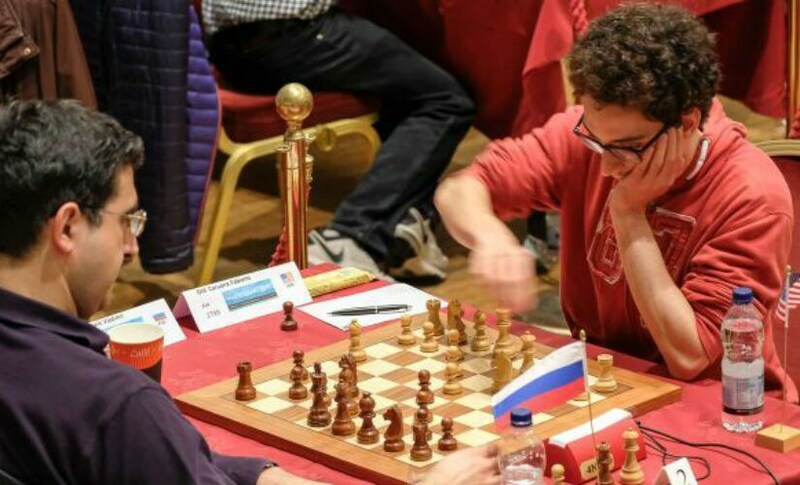 After some nerve-wracking battles at the Chess World Cup in the Georgian capital, Tbilisi, a pack of the world’s chess elite have headed westwards for the Chess.com Isle of Man Open. On the line is a hefty prize fund of £133,000, with the title winner’s share being £50,000. The tournament has attracted 67 Grand Masters, of whom 12 are rated above Elo 2,700. 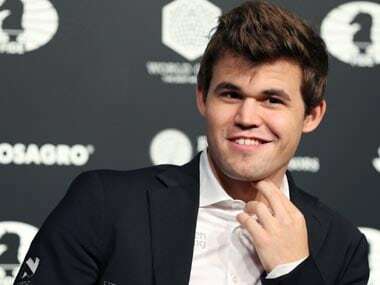 Some big names in the tournament include world champion Magnus Carlsen, Vladimir Kramnik, Fabiano Caruana and Viswanathan Anand. 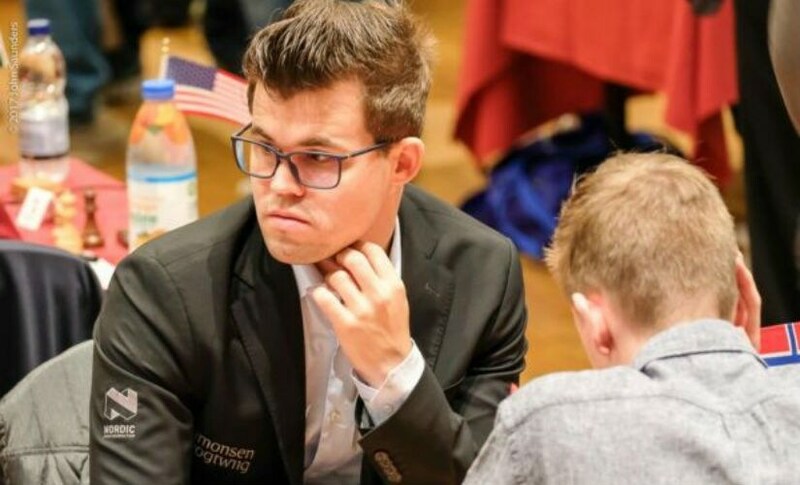 An interesting quirk about the event is that unlike conventional open tournaments, the Isle of Man Open did not resort to the 'Swiss Manager' (the software used for pairing participants of a Swiss-system chess tournament) for its first round pairings. Instead, the organisers decided to go for random pairings for the first round. The top eight players were asked to draw chits out of a tombola machine to find out who their first round opponent would be. For the rest of the players, a computer-generated random pairing was made. As a result, some really interesting match-ups were lined up for round one. 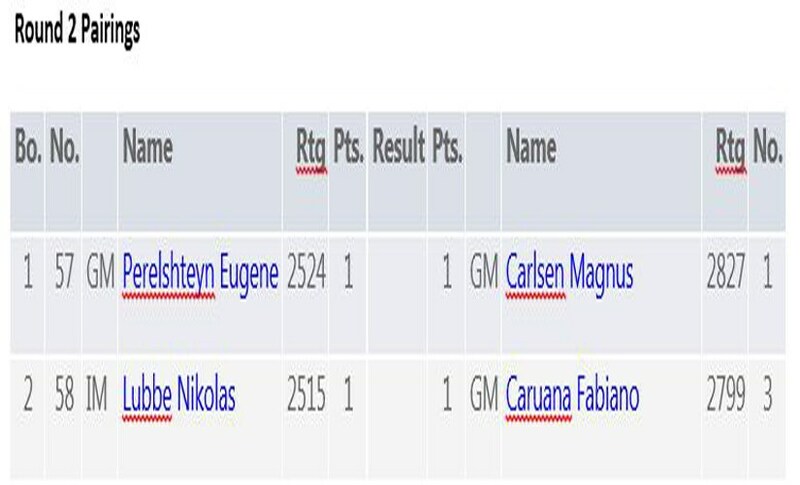 Kramnik, the second seed in the tournament, drew out Caruana’s name from the tombola. The second seed was to play the third seed of the tournament in the very first round. This was perhaps the best pairing from a spectator’s point of view; and the players too were up for a game. Kicking off with a Queen’s Gambit Declined, the players castled on opposite wings and went king-hunting as the middle game commenced. Kramnik, who was playing black, was on the back foot as Caruana’s attack was faster. Trying to help his king escape its wretched fate on the king-side, Kramnik sacrificed a pawn to exchange queens and mellow the attack. But this simply turned out to be a case of ‘out of the frying pan and into the fire’. Now into the endgame, the 25-year-old Italian-American found some really neat rook manoeuvres to make the most of his extra pawn and take the full point home. 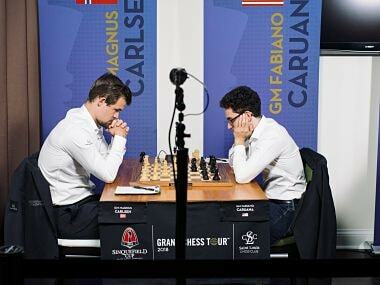 On the top board, Carlsen effortlessly won his game against the Icelandic player, Bardur Orn Birkinson. 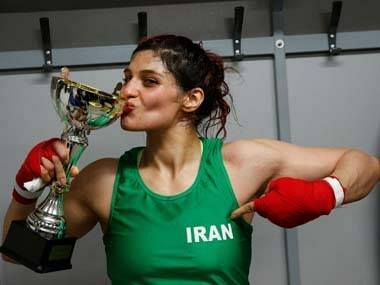 Rated more than 600 point above his opponent, the game turned out to be a cakewalk for the world champion. Starting out with a Nimzo Indian defence in response to Carlsen’s 1.c4, Birkinson missed a tactic that lost material and the world champion made no mistake exploiting his opponent’s error. Next up to the tombola machine was Anand who picked a chit with the name of the American International Master Mark Esserman on it. Esserman had held Anand to a draw in Gibraltar last year. 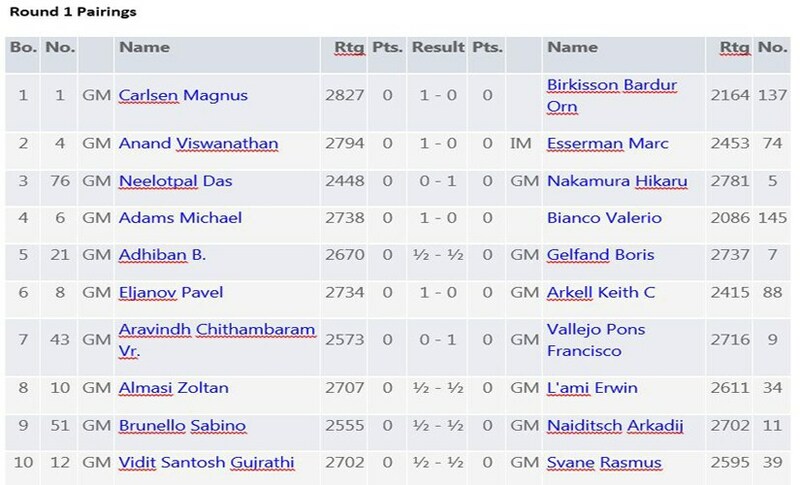 So even if there was a big rating difference between Esserman and him, Anand could not afford to take this game lightly. With the whites in hand, Anand went for the Opocensky variation of the Sicilian Najdorf and outclassed his opponent in the middle game. Planting his knights in the centre, Anand made a temporary pawn sacrifice on move 26 while also opening up lines for his rooks. By the 46th move, the 'Madras Tiger' had wrapped the game up in style, sacrificing a full rook. 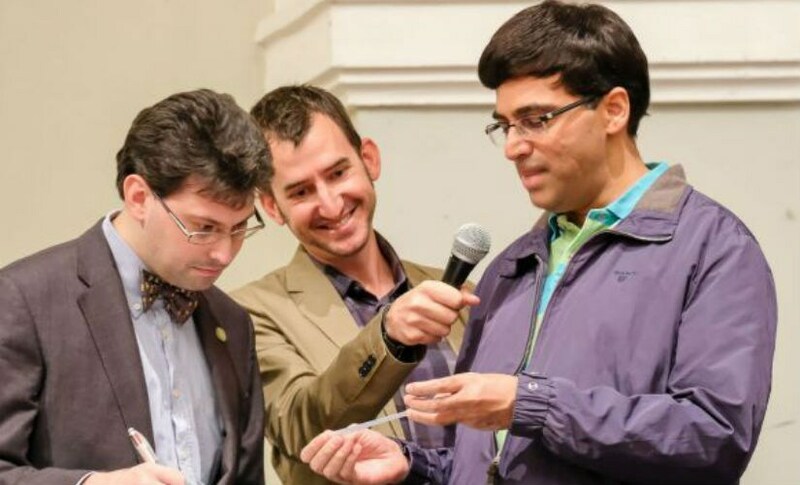 Right beside Anand on board five was Neelotpal Das, whose name Hikaru Nakamura had picked out during the drawing of lots. Despite being rated more than 300 points below Nakamura, the Grand Master from Bengal gave the American No 3 a tough time converting into a full point. But towards the end of the second time control, Das was short on time and cracked. Just one move before completing the second time control, he allowed Nakamura’s queen an entry into his position. His position was already looking difficult but he was holding his ground. Unfortunately, Das fumbled yet again and this simply spelled doom. By move 63, he was forced to resign. 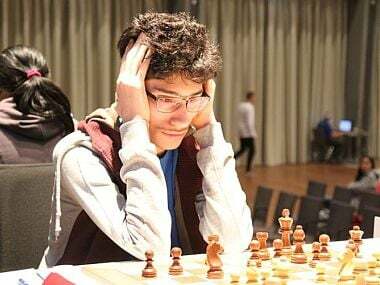 Vidit Gujrathi suffered a small upset in round one as he was held to a draw by German Grand Master Rasmus Svane, who was rated 100 point below Gujrathi. Opening with the classical French Defence, Gujrathi tried complicating the position by castling on opposite wings. When that didn’t seem to take him anywhere, he sacrificed a couple of pawns in order to get a shot at his opponent’s king. But the German soon found a forced repetition in the position and the Indian ace had no option but to concede half-a-point. 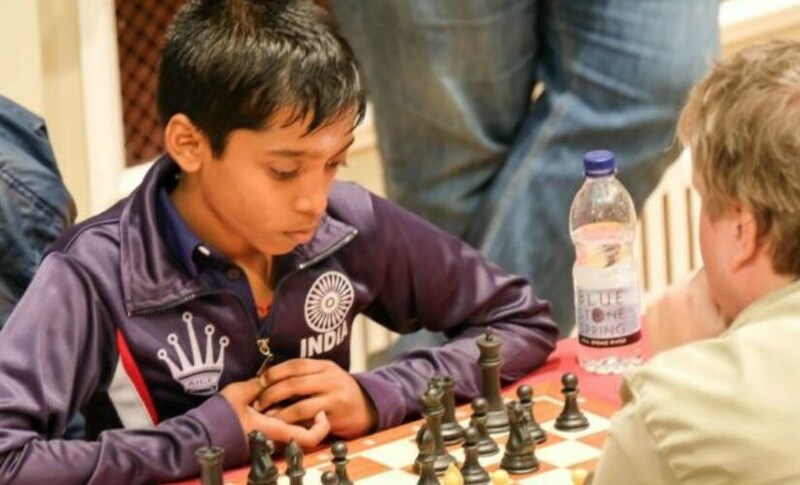 In some other important Indian results, B Adhiban drew his game against the 2012 world championship challenger, Grand Master Boris Gelfand; 17-year-old International Master Harsha Bharathakoti was able to hold Grand Master Sergei Movsesian with black pieces in a Sicilian Najdorf; 13-year-old Nihal Sarin was also able to hold his much higher-rated opponent, Grand Master Varuzhan Akobian; another young Indian prodigy, R Praggnaanandhaa won his game against International Master Dietmar Kolbus; SP Sethuraman got the better of the German-Ukrainian Grand Master Alexander Donchenko. 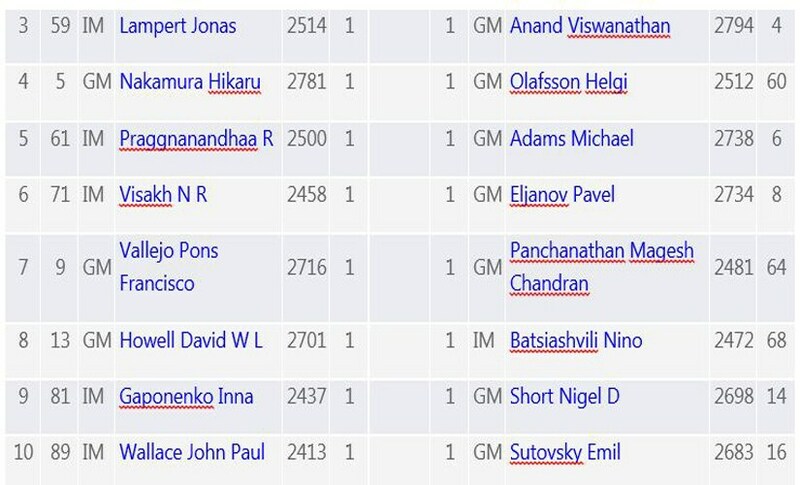 On Sunday, in round two, two other Indians, besides Anand, will be seen playing on the top boards. While Visakh NR is pitted against Pavel Eljanov on board eight, Praggnaanandhaa will be facing the English No 1, Mickey Adams with white pieces.